A kayaker has described how she came very close to drowning after she got into difficulty at the Six Mile Water in Antrim. Hannah Birt was navigating through a bridge at about 15:00 GMT on Saturday when heavy currents caught her, pinning her up against the bridge arch. "The boat flipped over and it just pinned my legs in the boat. "My hips were taking the full force of water, I was pinned under the water so I went for the surface," she said. "I yelled up 'I'm gonna die' and I called for ropes and people dropped them down. I couldn't move, I was cold and hypothermic. The rescue services were brilliant, I couldn't thank them enough, as well as the people who were shouting and keeping me awake." It took nearly an hour to rescue Ms Birt from the river. In the ambulance on the way to hospital, she lapsed in and out of consciousness and, at one stage, her body temperature dropped dramatically low. She is grateful to everyone who helped save her life and said in the first moments after the kayak tipped, she could have easily died. 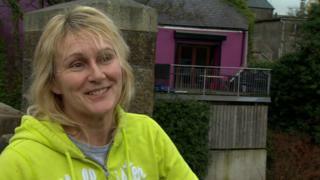 "I would've drowned, if I had not got my head above water at that time," she said. Paul Coyle, northern area commander with the Fire and Rescue Service, was at the scene said: "The flow of the water was pinning her against the canoe and the bridge. "She had nowhere to go and she had a suspected broken leg and was in pain." Fire and rescue workers were joined by Lough Neagh Rescue, the police, the ambulance service and some of her friends who had been out on the river. "The operation to rescue her took about an hour," Mr Coyle said. 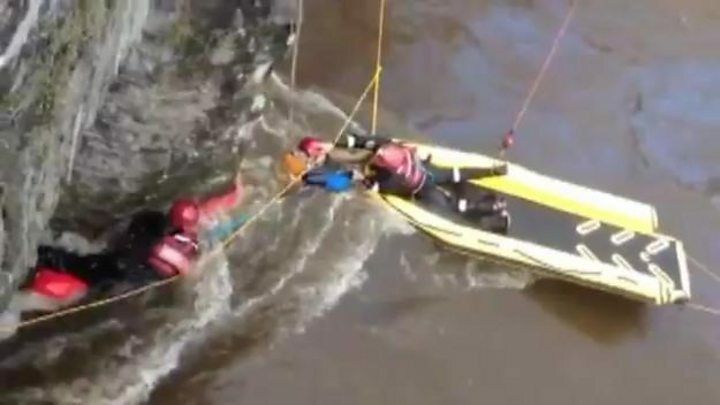 "This was a great team effort and it took that to rescue her." He said that Ms Birt had a good life jacket and dry suit which protected her from hypothermia. "It was a very challenging incident but it had a great outcome," he said. Ms Birt was taken to Antrim Area Hospital and has since been discharged.